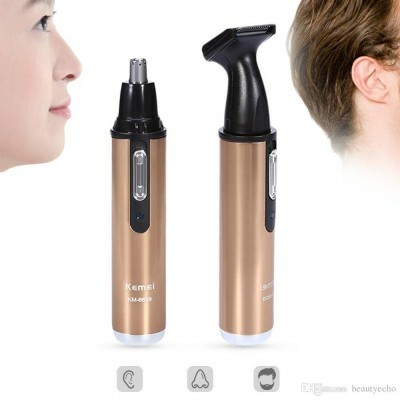 Nose hair 3 combinations, the front speed card hair, rotary blade, washable blade Built-in blade safety repair does not hurt the skin, 360 degree capture, accurate trimming. Professional long eyebrow comb, to meet the needs of different lengths of pruning, painless rounded blade eyebrow shaving, not folder / pull hair. - Chamfer R-chamfer processing, contact the skin at any angle when the boot run, can guarantee absolute safety, repair temples to make your hair more stylish. Single floating razor net, with a sharp internal blade, iron facial contours, shaving no dead ends. 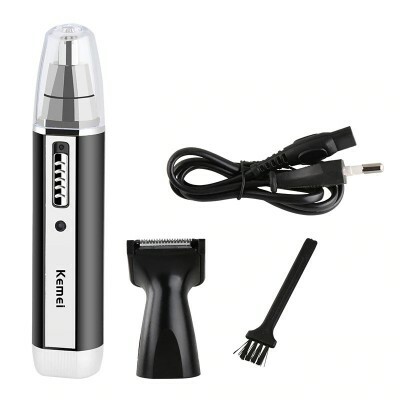 - Product Description : Brand Name : Kemei. 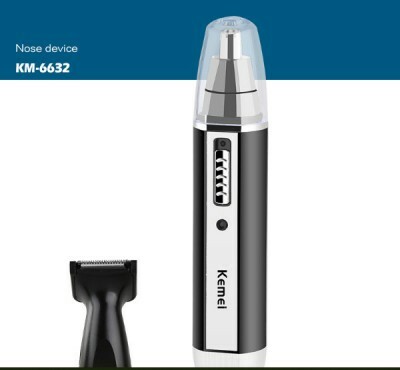 Type : Nose hair trimmer. Size : 13.3 / 2.6cm. - Plug Type : EU Plug. The measurement allowed error is +/- 1-3cm.Nose hair 3 combinations, the front speed card hair, rotary blade, washable blade. 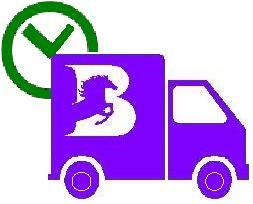 Package Contents : 1 - nose hair trimmer. 1 - European regulations plug.